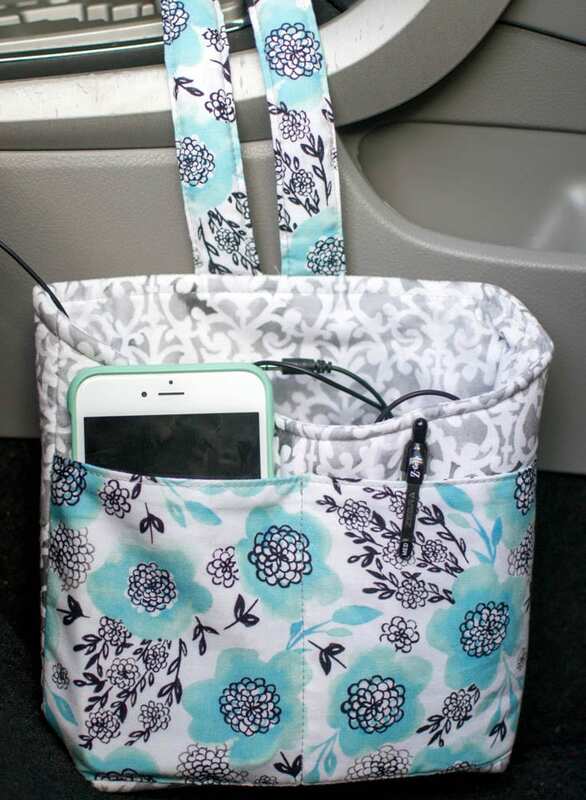 Keep everything you need handy – and organized – in the car with this sweet little bag! The back has a welt zipper pocket where you can stash a few dollars or an emergency credit card in case you forget your purse. It aslo has velcro to keep the bag from sliding around. Find the car bag tutorial here.